Please let us know if you are coming late, we can only hold your seats for 15 minutes. If your desired date and time is not shown in the reservation form, the restaurant is already fully booked. 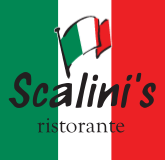 © 2018 Scalini's Restaurant & Pizzeria. All Rights Reserved. Made with love by Fyro Media.